Gallozzi Group was established in 1952 by Giuseppe (Joe) Gallozzi, M.B.E., to offer third party shipping, stevedoring and terminal arrangements in the port of Salerno to customers in the south and centre of Italy. 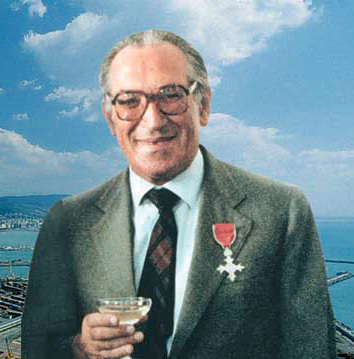 After a life time spent pioneering in the shipping industry, in 1991 the Founder Giuseppe passed over. The ownership and the management responsibility of the group were taken by his three sons: Agostino (Chairman), Vincenzo and Enrico (both board members), who had been all grown up in the business by their Father. From being a local shipping agency the group was developed to control over 25 companies operating in the shipping, forwarding, logistic and terminal business, with own offices in Italy, Mediterranean, UK and China. The group also holds significant investments and assets in private yacht marinas. The Salerno based group operations directly employ 320 people.